More than 40 exhibitors, 18 courses, 16 free workshops, 20 lectures and addresses. A three-day sewing retreat where no one wanted to go to bed. Sewing brings people together. 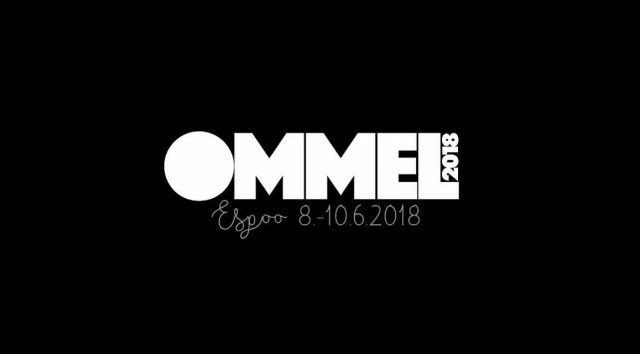 The Ommel 2018 festival offers a place to meet other sewing enthusiasts and to learn something new. 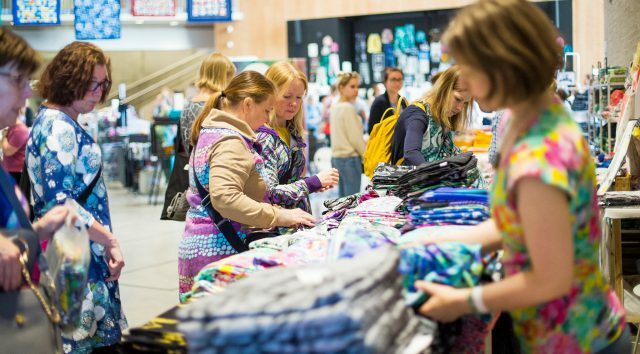 A new type of crafts event, Ommel 2018 focuses on sewing and will be held for the first time in Suurpelto, Espoo June 8-10, 2018. The theme of the event is Finnish fabric design and the festival offers an all-round outlook at what fabric design is in Finland today. The entry to the event is free of charge. The festival has all kinds of courses. You can learn about many things, e.g. sewing bras, branding in crafts, making a pattern for a circle skirt and using a serger. We also have a hobby horse sewing course for children. Courses are subject to a charge and you must sign up in advance. You can also sign up at the event if there are vacancies. – The first courses filled up within days of the start of sign ups. We have succeeded in bringing our festival to the sewing public’s knowledge even though this is the first time Ommel is organised, said Jenni Salminen, the chairperson of Ommel ry. People have been happy about the free lectures and workshops. Our workshops include, among others, learning how to use a serger, sewing children’s clothing for charity, sewing leather paper, practicing patchwork, trying out industrial and embroidery sewing machines as well as taking part in an underpants sewing marathon. – Sewing underwear has become quite a phenomenon in the past few years. I remember when I was studying to be a craft teacher, we went to a sewing supply store and laughed at bra notions. Who sews bras? Nowadays quite a few people! laughs Salminen. Lectures at the festival focus on various themes that interest sewists. The most important are ecological thinking and recycling. We have lectures on these topics by Marja Rissanen, a researcher at Aalto University and trashionista Outi Les Pyy. Many sewing enthusiasts are very aware consumers and want to know the origin of the fabrics and raw material used. Saturday’s theme is design and branding as well as internationalisation. There will be lectures by known fabric designers and by Rachel Redman, and American selling European fabrics in the US. The most important mission of the festival is to bring sewing enthusiasts together. Sewing as a hobby has gained popularity in the last few years. The largest Finnish Facebook group for sewing has over 33 000 members. There are also smaller groups with a couple thousand members with lots of active discussions. – There is a strong communal aspect to sewing, sharing what you made and asking for tips and advice. You can get quick advice from Instagram and Facebook groups when you need it and also of course and endless number of ideas for you own sewing projects. This active group of sewing enthusiasts has lacked their own event, so we decided to organise one, Salminen says. Most of the event advertising has been done on Facebook and the event has over 3000 followers. All Finnish sewing magazines have made note of the event in some way and some of them have organized contests or are present at the event and hosting workshops. – The idea was to create a festival for everyone in the field of sewing and we have managed to do that. 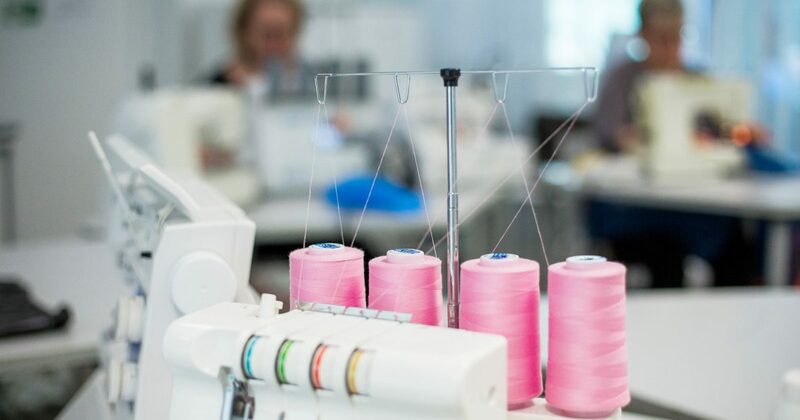 There are several sewing related businesses and sewing enthusiasts organizing the event and everything is done with both professionals and hobbyists working together, Salminen clarifies. The amount of sewing enthusiasts and new Finnish fabric shops have risen hand in hand. Over 30 businesses selling fabrics printed with designs from Finnish designers have been founded in Finland since 2010. There is a long tradition of fabric design in Finland, following in the footsteps of Marimekko and Finlayson, but with the invention of digital printing small businesses can print their own fabrics since they no longer have to make such large minimum orders. Most of the businesses also sell their fabrics abroad from the year they start. – Not a lot of people outside of the sewing circles even know that there are so many fabric businesses in Finland now. You could even call them fabric start ups. We want to showcase the whole field and bring forth Finnish knowhow, Salminen concludes. The event is organised by Ommel ry. The purpose of Ommel ry is to advance sewing and to support the communal aspect of it as well as to promote Finnish textile design both nationally and internationally.